The ketogenic diet requires a careful balance of fat, carbs, and protein. To maintain this balance with ease be sure to stock your keto pantry with a few essentials. The key to the keto diet is that it changes the way the body uses fuel. By creating a deficit in carbohydrate consumption the metabolism switches to ketosis, a state where fat is burned for energy instead of carbohydrates. 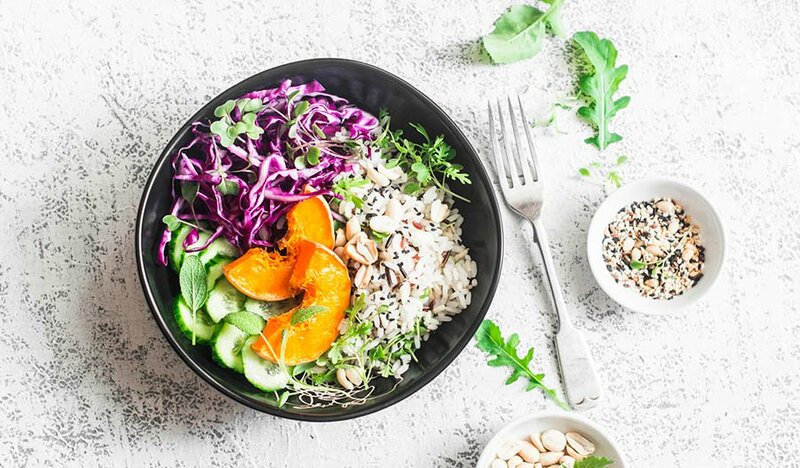 This diet has shown to be helpful for managing symptoms for some autoimmune disorders, monitoring blood sugar and improving muscle growth. It can take a bit of time to rethink old cooking habits and figure out keto friendly meals that work for a person's individual needs. There is always a bit of a learning curve when a person starts keto, but trips to the grocery store don't have to be super overwhelming. This basic guide will share details about the key food groups that a person on the keto diet should look for while shopping. Before diving headfirst into the keto diet, it is important to understand which types of foods are recommended. In addition, one should be familiar with the essential guidelines of a ketogenic diet. The exact amount of food a person will eat depends on his or her current weight and fitness goals. Generally, on the keto diet, people should get between 60 to 75 percent of their calories from fat, 15 to 30 percent from protein, and 5 to 10 percent from carbohydrates. 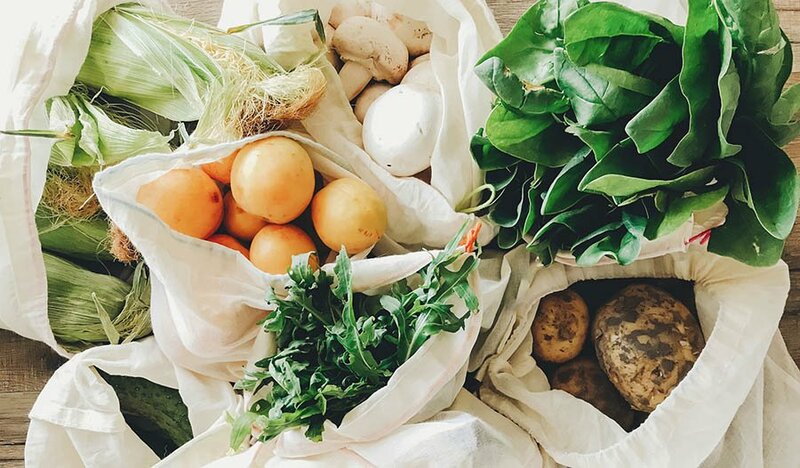 To maintain a diet that fits in with these macronutrient counts, some common food staples will be meat, poultry, fish, full-fat cheese, grass-fed butter, plant oils, and low-carb vegetables. However, turning these basic staples into actual meals may require a few more necessities. There may be a bit of an adjustment period when first starting out on the ketogenic diet. Until the body makes the switch to ketosis, the lack of carbs can leave people feeling groggy, tired, and achy. This condition is often referred to as "the keto flu." In fact, it feels quite similar to having the regular flu. The keto flu will eventually go away on its own, but this does not mean that a person has to be stuck feeling miserable for days. There are some useful supplements that can help support energy levels when starting the diet. It is perfectly possible to be on the keto diet without being deficient in any vitamins and minerals. However, this requires careful tracking of all the nutrients consumed throughout the day. Taking a multivitamin can help to ensure proper nourishment and fill deficiencies that might leave the dieter feeling tired or grumpy. A major reason why people lose a lot of weight immediately on the keto diet is that carbohydrates hold onto a lot of water. When a person stops eating carbohydrates, they immediately begin losing water weight which can be unpleasant. If it goes too far, dehydration can lead to a more severe case of the keto flu. Electrolyte powders can help the body to properly balance water intake so that a person gets the water they need. There are also ways to get the keto process started right. For example, dehydroepiandrosterone is a type of hormone produced by certain glands in the body. Taking a DHEA supplement is not necessary for everyone, but it can help to jumpstart weight loss and muscle growth. DHEA works by boosting metabolism and increasing thyroid gland activity in the body. It's important to note that many protein powders have the wrong balance of protein and carbs for people on the keto diet. Try a protein made from bone broth to meet the necessary protein macro needs each day. Bone broth protein is made from broth created from animal bones and contains healing collagen and amino acids. This can be an easy way to keep feeling energetic and alert even when dealing with the keto flu. The high fat intake associated with keto might seem indulgent and many dieters find that it becomes tricky to still make healthy choices. It is key to not choose fatty, greasy foods and opt for plant-based fats. These fats tasteless oily and heavy than fatty cuts of meat, and can easily be added to meals without affecting the overall taste or texture. Many keto dieters like to add avocado to everything because it is loaded with healthy monounsaturated fatty acids. 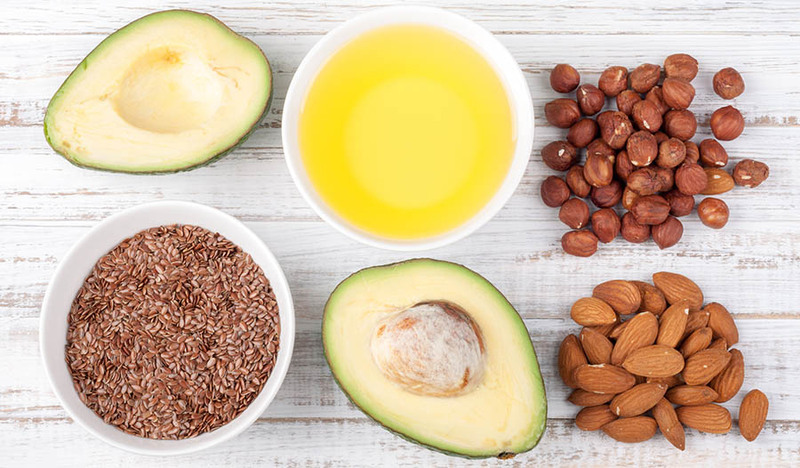 All of these healthy fats are concentrated even further in avocado oil. Another benefit of avocado oil is that it tastes delicious. It works well when mixed into salad dressings, meat marinades, and vegetable stir-fries. MCT oil is made up of the medium chain triglycerides found in coconut oil. This vegan oil is very light and flavorless so it can be added to keto fat bombs and smoothies without changing the taste. It is also nice to have on hand because a person can easily take a shot of it when they just want to increase fat intake without having to cook. Overall, MCT oil is a great source of quick and easy energy. It can be tricky to find peanut butter without added sugars in grocery stores. However, this product is useful enough to be worth a search around health food stores. Most of the calories in peanut butter come from fat. It can be mixed into baked goods, blended into smoothies, or eaten as a basic snack. Peanut butter can even be used in savory recipes to make things like a peanut dipping sauce for meat. However, it's important for dieters to find low-glycemic peanut butter. Although it may take a little more effort to find the right products, once a person has the right items, they can still bake favorites like biscuits, bread, cookies, pancakes, waffles, and cake while on the keto diet. The key is trying these useful substitutes. Made from ground, dried nuts, almond flour is ideal for replacing wheat flour. Since it only has 1 gram of net carbs, dieters can do a one-to-one substitute in many recipes calling for wheat flour. Almond flour has a very neutral flavor that works well in foods. Plus, it is made from nuts, and it also has a small amount of helpful protein. High in fiber and low in carbohydrates, coconut flour is another great option for keto baked goods. It is slightly fluffier and less dense than almond flour. Therefore, it is ideal when a person is baking something with a lighter texture. 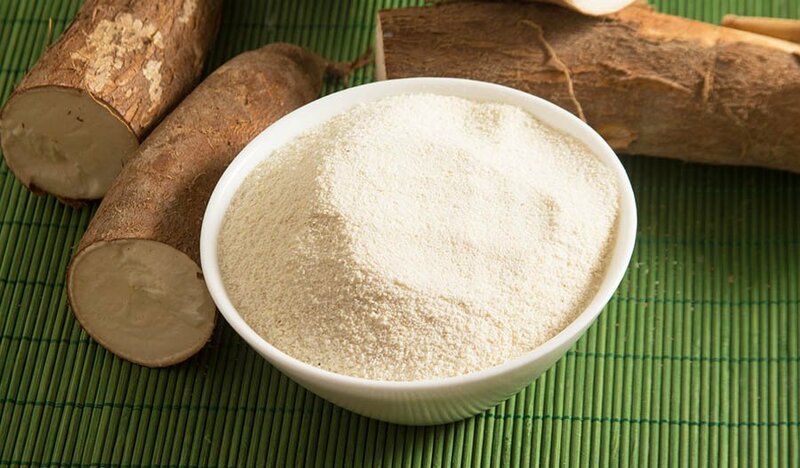 Keep in mind that coconut flour absorbs more moisture than wheat flour, so using it as a substitute may require adding extra liquids. For sweetness, go for stevia. This is a nutrient-free extract made from the leaves of the stevia plant. It is very sweet, yet it has no carbs or calories. Stevia is 200 times as sweet as the same amount of sugar, so a person can use a little bit to get a big impact. There are plenty of great stevia products on the market. One can find-stevia based sweeteners for coffee or use powdered stevia in place of confectioners sugar to make an icing.